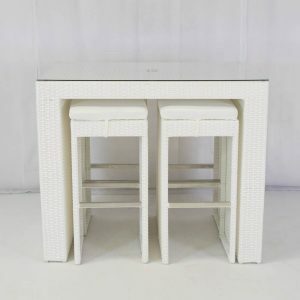 Our rattan furniture hire is perfect for parties, corporate events and weddings. 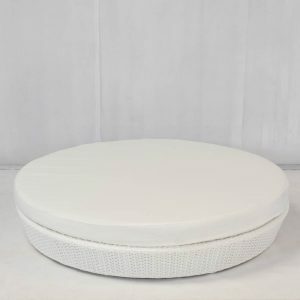 Consistently popular, it never fails to make an impression and works perfectly with all styles of décor. 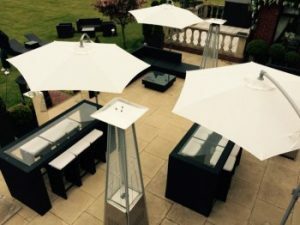 Our range can bring a Mediterranean chic to your party, whether this is an outdoor garden party or an indoor celebration. 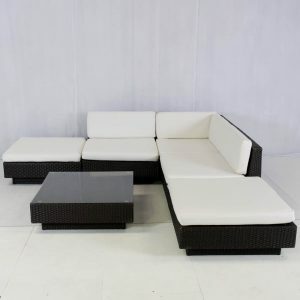 Our rattan Marrakesh Club Sets come in white or black and give a contemporary look to your event; perfect for lounging with friends, while enjoying a cocktail. 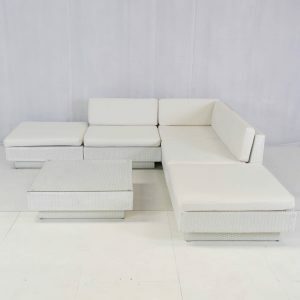 The clean lines of these sofa sets provide a comfortable seating area, without the clutter. 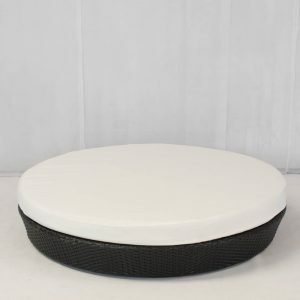 They are also really flexible to fit your space and needs. 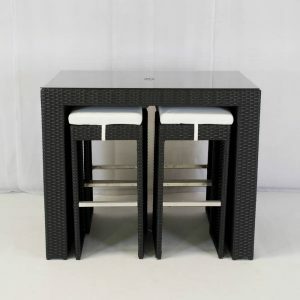 To finish off the look, go for one of our mirror cube tables, with some coordinating scatter cushions. 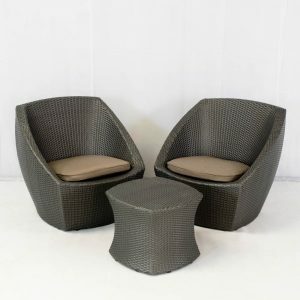 Our rattan furniture hire service is often used to create a versatile chill-out lounge area where your guests can relax and chat, or a laid-back dining area. 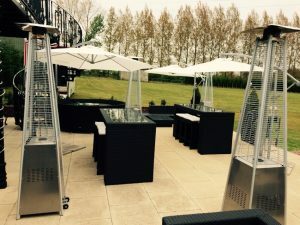 If you are hiring a marquee, a relaxation area just outside the door (weather permitting) gives your guests somewhere to congregate while they enjoy a drink. 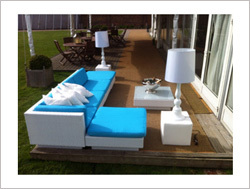 At Rio Lounge we are design experts! 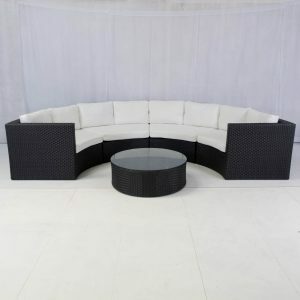 Our rattan furniture is delivered and collected by our team and we even offer a free design and consultation service. 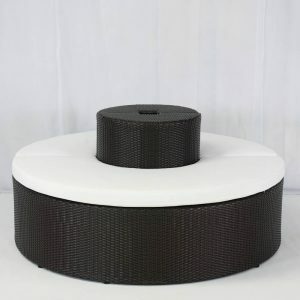 Whether this is a wedding, or corporate event, you will have a lot to think about on the day. 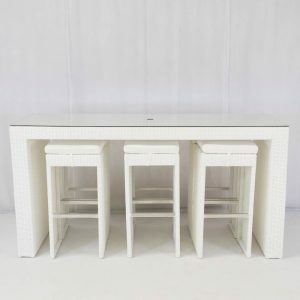 Our efficient staff ensure that the furniture hire isn’t one of them. “Thank you so much for all that you did for us and the impeccable service that you and the Rio Lounge gave us. 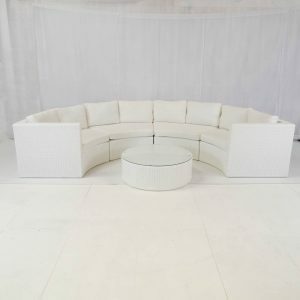 The chairs were just as amazing as I had hoped and they completed the ‘look’ I had dreamed of for our marquee.” See more testimonials here. 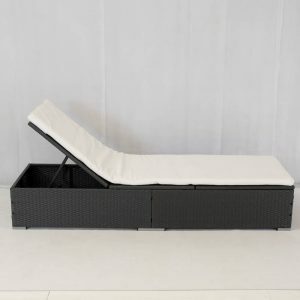 We deliver our rattan furniture all across the UK, including London, Sussex, Manchester, Hertfordshire, Kent and Bristol. 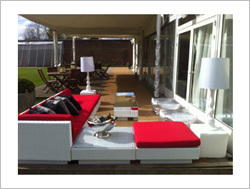 Simply contact us if you would like a quote or are interested in hiring rattan furniture and would like to know more. 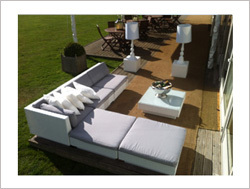 Please note that furniture comes in a selection of coordinating colours to match your event colour scheme. 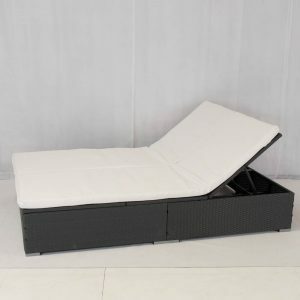 If you are looking to hire rattan furniture then we are perfect for you.